​We unlock the power of every community's social and institutional networks to drive adoption of clean energy products and services. 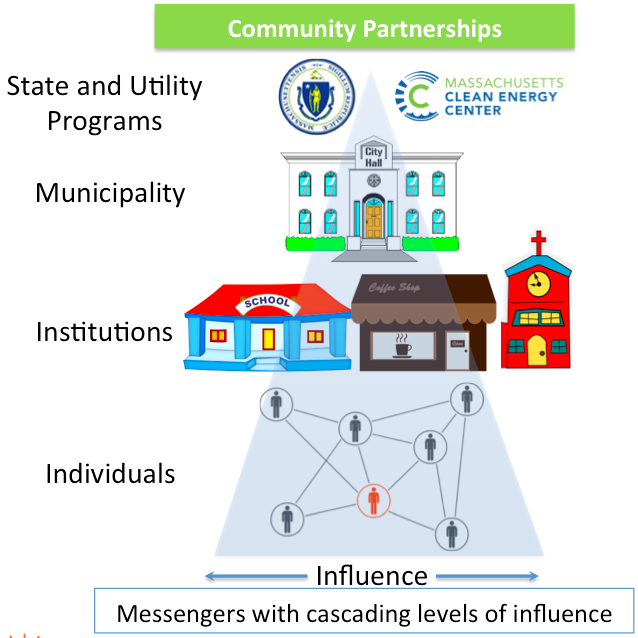 All In Energy's campaigns drive adoption of state and utility programs in our partner communities by activating social and institutional networks. Our campaigns are specifically designed to reach members of your community who have historically not taken advantage of utility programs, even though they have paid into them like everyone else. The products and programs we promote put money back in the pockets of the members of your community. We will identify, recruit, hire and train members of your community, especially those from groups underrepresented in the clean energy workforce, to execute our campaigns. All In Energy provides data transparency so you will know all of the work being done in your community and the demographics of who is taking action. Our non-profit and its campaigns are funded by our network of mission-aligned partners, so no financial relationship between All In Energy and your municipality is necessary.